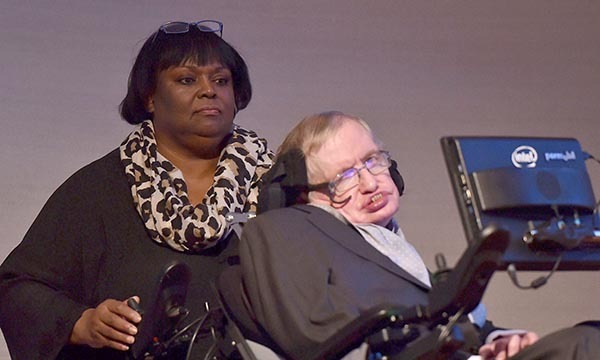 The former nurse of renowned physicist Stephen Hawking has been suspended and is facing a misconduct allegation over her care of him. Patricia Dowdy, who worked for the late scientist for 15 years, was handed an interim suspension by the Nursing and Midwifery Council (NMC) in March 2016. A hearing into her professional conduct, which began in February and is expected to last until 21 March, has been held behind closed doors. NMC fitness to practise director Matthew McClelland said the legislation and guidance of the NMC is ‘very clear that hearings will usually take place in public’. But he said that ‘in some cases, including this particular case, there are reasons why this may not always happen’. He said this could be due to the health of those involved in the case, or that the allegations are related to a health condition of the nurse or midwife. ‘Public interest is always considered but the panel must always put the individual needs of all those involved, including families, patients, nurses, midwives and nursing associates, first,’ he added. The Mail on Sunday, which broke the story, said Ms Dowdy declined to comment. According to the newspaper, the family of Professor Hawking lodged a complaint, which prompted the investigation into Ms Dowdy. In a blog post following the media coverage, NMC chief executive Andrea Sutcliffe said she ‘stood by’ the regulator’s decision to hold the hearing in private. Professor Hawking died in March 2018 aged 76, having become one of the most renowned scientists in his field. He had been diagnosed with a rare form of motor neurone disease in 1964 at the age of 22 and was given just a few years to live.